Goldin Peiser & Peiser, a leading accounting firm in North Texas, announced today that it has won ClearlyRated’s Best of Accounting™ Award for providing superior service. Best of Accounting Award winners have proven themselves as industry leaders in service quality based entirely on ratings provided by their clients. 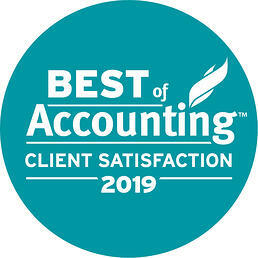 On average, clients of 2019 Best of Accounting winners are 1.9x more likely to be entirely satisfied than those who work with non-winning firms. GPP received satisfaction scores of 9 or 10 out of 10 from over 90% of its clients, significantly higher than the industry’s average of 45% in 2019. Over 90% of GPP clients feel that the firm always has a thorough understanding of their needs. “We are honored and humbled to know that our clients recognize the great effort we put into understanding and meeting their needs. Our clients are our number one priority.” Goldin Peiser & Peiser’s Managing Partner Allan Peiser said. Best of Accounting recognizes accounting firms that have demonstrated exceptional service quality based exclusively on ratings provided by their clients. The award program provides statistically valid and objective service quality benchmarks for the accounting industry, revealing which firms deliver the highest quality of service to their clients. Winners are featured on ClearlyRated.com - an online business directory that helps buyers of professional services find service leaders and vet prospective firms – based exclusively on validated client ratings and testimonials. GPP, founded in 1994, has evolved from a small three-partner Dallas accounting firm to a mid-sized practice, now ranked as the 20th largest firm in North Texas and a Top 300 National Firm. Throughout the years, our founders’ entrepreneurial spirits have steadily propelled the firm, resulting in visible growth. This development is made apparent by our team of over 70 members, the vast array of services that we provide to hundreds of businesses, and our presence in small- to mid-size markets not only locally, but also nationally and internationally. Our commitment to building strong, meaningful relationships with our clients and providing excellent service are cornerstone values at GPP. Rooted in satisfaction research for professional service firms, ClearlyRated (formerly known as Inavero) utilizes a Net Promoter Score survey program to help accounting firms measure the client experience, build online reputation, and differentiate on service quality. Learn more at ClearlyRated.com/Solutions.